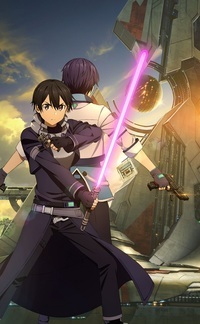 Today, Bandai Namco has provided more information about upcoming Sword Art Online ports. Much of the information in today's press release reiterated on details already shared previously, but works to clarify what is coming for the franchise this year. We break down what you need to know about Sword Art Online in 2019 below. Sword Art Online: Fatal Bullet released in February 2018, and was followed by three extra DLC packs throughout the rest of the year. Sword Art Online: Fatal Bullet Complete Edition releases in just a few days on January 18 for PlayStation 4, Xbox One, and PC. This edition includes not only all three of these expansions, but also a fourth and final expansion titled Dissonance of the Nexus. Of course, people who already own Fatal Bullet can get this expansion as DLC, which releases on the same day. Finally, Sword Art Online: Fatal Bullet Complete Edition will also be coming to Nintendo Switch in 2019, but the western release has not yet be given a release date or window. The Japanese version of this Switch port has been set for 'Summer 2019'. You can find more information about Dissonance of the Nexus here. Bandai Namco has also restated that Sword Art Online: Hollow Realization will release for Nintendo Switch in Spring 2019 in the west. This version of the game will be titled Sword Art Online: Hollow Realization - Deluxe Edition and will include the original version's season pass content “Abyss of the Shrine Maiden” and “Warriors of the Sky”. The Japanese release has been dated for April 25. Previously, Sword Art Online: Hollow Realization released on PS4 in 2016 and on Steam in 2017.